Can any one comment on the new Switch board? I am wondering the upwind speed, as I own a RRD bliss board, which is great, but I find it rides a bit smaller than it's actual size due to the rocker possibly. My current board is 139x43. I would like to hear some reviews if someone has ridden this board. check your binding position on the board 139 board you have as this makes a big difference, i used to ride as wide as possible on my 138 (Fone WTF) but since trying it on the middle spaced setting i have found it to be much better. 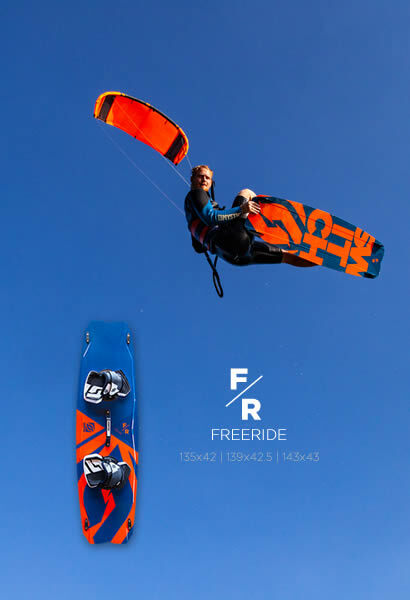 There seem to be allot of similarities between the switch FR kite board and Fone kiteboards (which i have owned lots of and ridden for years) looks pretty similar to an old Fone Trax. The FR doesnt look anything special and still looks very heavy (just like the previous MJ comp board) as it will be because of the wood core maybe switch can post up its weight? (which is a specification i wish all kiteboards had written on them) . It will track upwind fast because of the massive fins ofcourse its smooth it has quite a big rocker most likely more than it needs and those cut away parts on the nose means it wont catch as much in the chop. Yikes! £516 for a switch kiteboard my Fone WTF cost £425 with a kitebag. It looks like an original design for a change anyway, and an evolution from the MJComp2. Which really isn't THAT heavy compared to regular boards from other manufacturers. Large fins, pretty staight edge, not too much rocker in the middle, so should track upwind just fine. And if the quality is the same as the MJComp it will last you a long time. Not had a fone board break in 10+ years i have been riding them, my Fone spicy got destroyed (still didnt break) but then i did ride it up the beach all the time so the rail was ruined. Maybe i am lucky who knows. The MJcomp 2 is one of the heaviest kiteboards i ever rode, pretty much the same weight as Tona Pop (which is a better board and costs allot less) again why i wouldn't buy one. Mjcomp rode tidy enough but was way too heavy. Something like the axis vanguard, naish monarch or the Fone WTF ( which if you notice allot of pro's ride) is a much better choice but then i think that i am not comparing like for like there in terms of riding style and ability. its a premium price switch is asking for i don't see a premium product allot of competition from other brands who do a better job and for less money. Board only would make it marginally cheaper but then its a freeride board for the masses, so a package suits. My Bliss V5 is the wood core as well. Maybe it is heavy, I don't recall it feeling heavy. I am 175lbs maybe 180lbs in my gear, but since I got this board, I find it more difficult to get out in the lighter winds compared with my previous board, Axis Vanguard at 135cmx43cm. I am free rider who likes to get big air or try too!, no freestyle for me. . I am in Canada, and experience chop frequently, so the Bliss wins there for breaking chop. 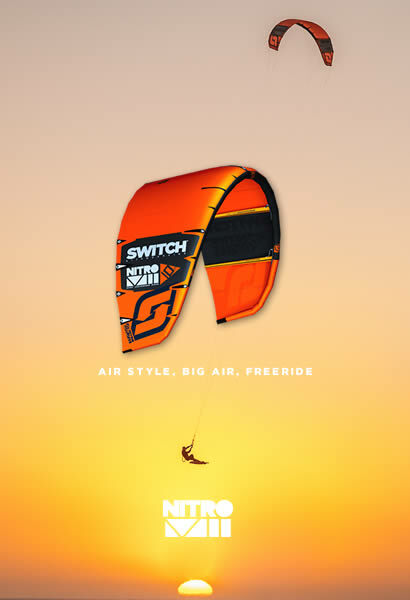 As I said great board, would be nice to support Switch kites, as I have been a big supporter of them since I started kiting. Guess you got lucky then. I know a lot of people who have ridden F-One for multiple years, just because they kept getting warranty replacements. Delaminating, breaking fins, cracks from rail to rail next to the inserts, inserts pulled out etc. I had a Acid 2012, and the bottom looked like I rode it for 5 years after just 2 sessions. MJComp2 weighs practically the same as a Trax, and a lot of other boards. Only complaint I have is that I had a lot of spray, but that's mostly because I should have ridden a wider board, so that the spray would just miss my boots and wouldn't deflect upwards. I notice a lot of pro's ride the boards from their sponsors, and sure don't see a lot of F-Ones nowadays. Where do you get all those cheap boards btw? F-One WTF retail price over here is 575,- and that's the bare board with nothing else. Discounts don't count.